The GPI (Global Poker Index), well known for their GPI 300 which ranks the top 300 tournament poker players, has closed a deal with two of Europe’s leading poker rooms, Casino Barcelona and the Aviation Club de France to be the official tournament ranking system. Global Poker Index is expanding their footprint with their latest partnerships with Casino Barcelona and Aviation Club de France. The GPI uses a formula based on a player’s performance over six half-year periods. The score is calculated by multiplying the finishing percentage factor by the buy-in-factor as well as the aging factor for events that meet the GPI standards. The deal allows players to earn GPI points in all regular events at these poker tournaments as well as the EPT Barcelona, the WPT Grand Prix de Paris, the Estrellas Poker Tour and the Euro Finals of Poker. The GPI recently closed another similar deal to partner with the EPT (European Poker Tour) to determine the Player of the Year awards. Alexandre Dreyfus, GPI CEO, said they are expecting more and more casinos and clubs to utilize the GPI formula in the near future. 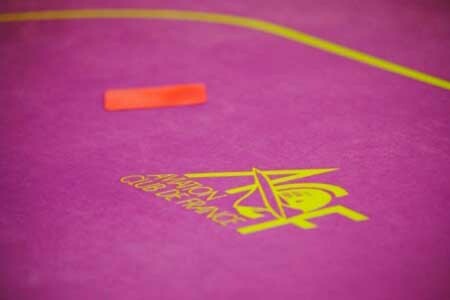 The results of the GPI 300 and GPI Player of the Year are released weekly. Currently #1 on GPI 300 is Daniel Negreanu and leading on the GPI POY is Mike McDonald.